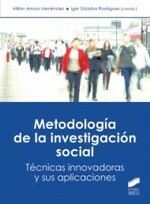 Methodology of social research. Innovative techniques and their applications is a book coordinated by Millán Arroyo Menéndez and Igor Sádaba Rodríguez1 and published in Editorial Synthesis. This is an advanced manual on methodology and applications, carefully selected for their character emerging, innovative, or by frequency of use in empirical research. 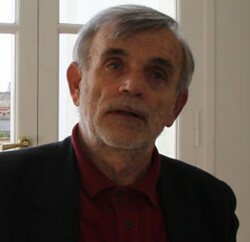 The work takes particular account of the new strategies of collection and analysis of information from a sociological standpoint, the measurements that involve new devices and technologies (the digital world), the comprehensive management and rapid information (such as spatial data), and the means of registration and storage of digital data (including image, audio, and video). Additional bibliography (to download, click here).